This custom Designated Marksman from Doc Shiffer is a beauty. 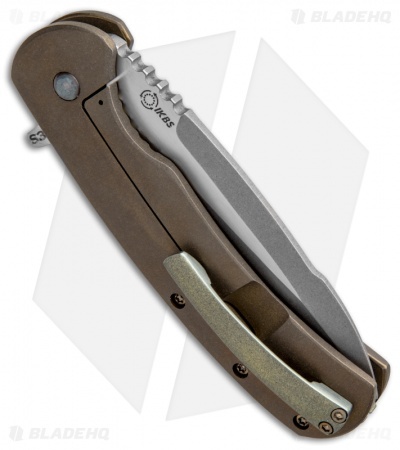 It features a double anodized titanium handle, framelock, back spacer and pocket clip. The two-tone finished S35VN steel blade opens with a push of the flipper. 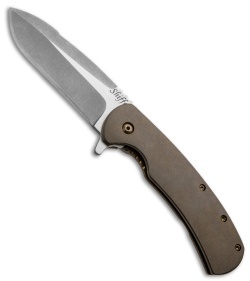 IKBS bearings give this knife smooth performance.